Grab your favorite axe and dive into an extraordinary world of sound creation with the SY-300 Guitar Synthesizer. The SY-300 can be used with all your guitars right away, with no special pickup required—just plug into the standard 1/4-inch jack and play! Thanks to revolutionary new BOSS technology, you’re able to explore fat, analog-style polyphonic synth sounds with zero latency, seamlessly extending the natural expressiveness and familiar feel of your own instrument. In addition, you can shape your normal guitar with the synth’s filters, amps, and LFOs to create all sorts of cool sounds never heard before. From unique lead textures to rich, evocative soundscapes, the SY-300 brings untapped dimensions of inspiration and creativity to your music. 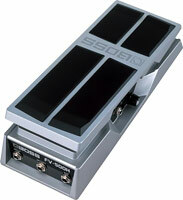 With the SY-300, tapping into BOSS’ legendary guitar synth technology has never been easier. While our other synth products require a special GK pickup and 13-pin cable to access synth voices, the SY-300 can be used with any guitar via a standard 1/4-inch cable. Powered by ultra-fast DSP and newly developed innovations from the BOSS engineering team, the SY-300 performs its amazing synth magic in real time, with no lag whatsoever. This delivers a latency-free playing experience that’s a natural extension of your normal guitar, letting you to play freely and organically without altering your technique in any way. The SY-300 features a powerful polyphonic synthesis engine with three separate sections, bringing a limitless range of fresh tones to your arsenal. Just like a keyboard player with a classic analog synth, you have complete creative freedom to build sounds with a full palette of synthesis parameters—select different wave shapes, tweak them with filter, amp, and pitch controls, modulate them with LFOs, and layer oscillators for rich, complex tones. There’s even a step sequencer (with tap tempo control) for creating dynamic melodies and arpeggios simply by playing a single note on your guitar! And with the cool Blender function, you can instantly mix and match synth settings from other patches to discover inspiring new sounds with no heavy lifting at all. Beyond its amazing synth voices, the SY-300’s synth engine can be used to process your normal guitar sound in many compelling ways. Apply filtering to alter the basic tonality, and use the amplifier parameters to alter the attack and decay characteristics. After that, add some sweeping movement to the sound with the LFO section. With these powerful controls, you’re able to extend your regular axe with an endless supply of unique creative textures, from subtle to otherworldly. Effects play a huge role in synthesizer sound design, and the SY-300 is filled with options to take your tones into the stratosphere. Four simultaneous effects engines are available, each packing a number of effects types including overdrives and distortions, Slow Gear, Isolator, Slicer, and many others. Some types can even perform two effects at once, such as chorus and delay or delay and reverb. Use the effects to process synth sounds, your straight guitar sound, or both at once—it’s up to you. 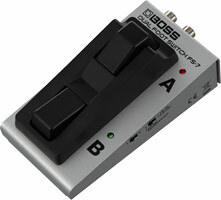 Controlling the SY-300 while performing is simple. Using the four built-in footswitches, you can bypass the synth sound, scroll through patches, and control three different parameters of your choosing per patch. 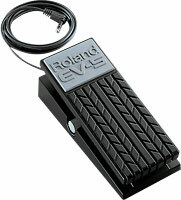 Two external footswitches or an expression pedal can also be connected for even more real-time control if needed. The Thru output lets you to send your dry guitar sound directly to your pedals or amp, or it can be used along with the Return jack as an effects loop. Dual output pairs (Main and Sub) offer assignable signal routing options to integrate with any setup, while MIDI In and Out/Thru jacks are provided for interfacing with switchers, drum machines, and other MIDI gear. The SY-300 is equipped a USB audio interface to capture audio tracks directly into music production software on your computer. You can record the SY-300’s synth and effects sounds, or just monitor them while recording a dry signal. Then, feed that signal back into the SY-300 to “re-synth” the sound and create the perfect tone for your mix. You can feed other tracks from your DAW into the SY-300 as well, processing them with the synth engine and effects to create cool new sounds for your productions. 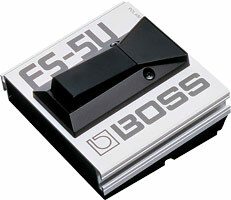 The SY-300’s USB connection also allows you to build and organize patches with the dedicated BOSS Tone Studio editor and download new patches from the BOSS Tone Central website. * AF method (Adaptive Focus method): This is a proprietary method from Roland & BOSS that vastly improves the signal-to-noise (SN) ratio of the AD and DA converters.